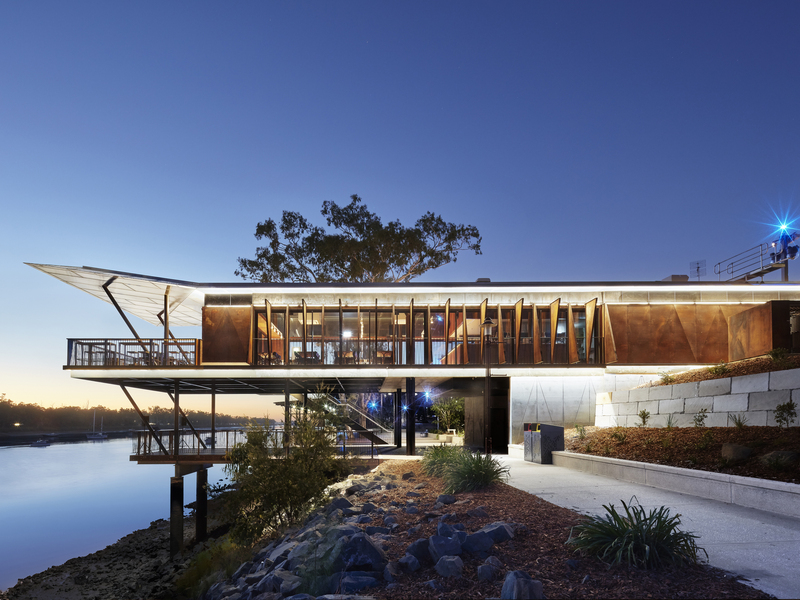 In collaboration with Urbis, Street + Garden were engaged to develop a number of elements for the Riverside Precinct in Rockhampton Central Queensland. The general brief was to create a sophisticated, elegant and timeless furniture suite that was unique in character while also being complementary and sympathetic to the local heritage architecture. The selection of a robust and minimal material palette of sheet metal and timber was the starting point, and was followed closely by the application of subtle colour options. One of the major references for the suite was the dappled shade of the prominent fig trees on site, with this detail being developed and expressed as the custom pattern applied across all of the furniture types. 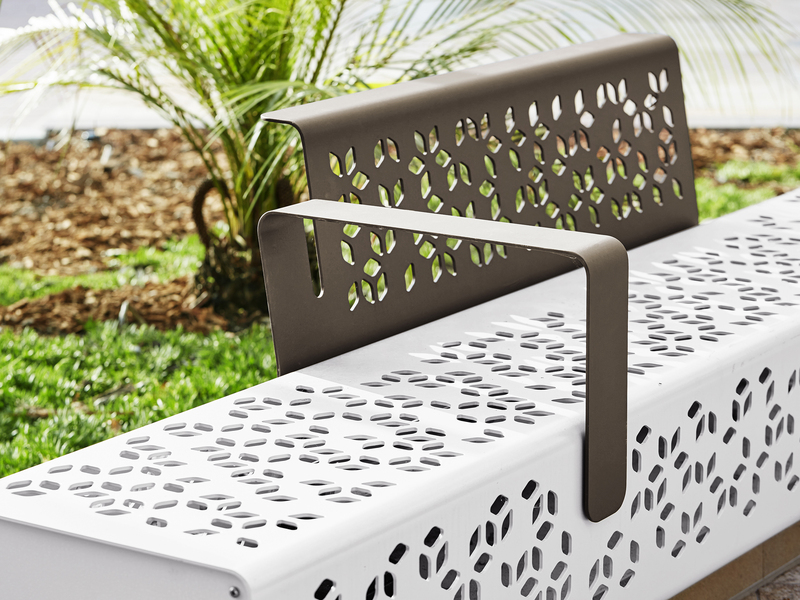 Given the hot conditions in the region, these perforations help to minimise the surface area exposed to the sun and also allow for increased airflow. The river is an obvious feature of the site, but given the recent issues that the city has had with large flood events, the furniture suite needed to be mindful of how it might deal with these situations. 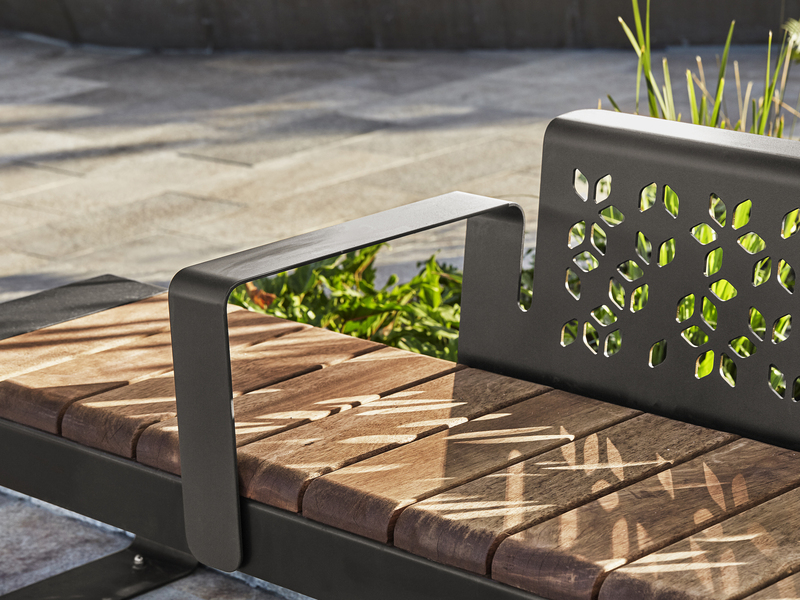 The selected material palette is robust enough to weather these severe conditions, and the thin profiles and heavily perforated surfaces allow for efficient water flow and easy maintenance. The furniture suite is very comprehensive, including: Bench Seating, Integrated Table Settings, Banquet Tables, Bollards, Bin Surrounds, Drinking Fountains and Bar Stools. One of the other key items within the suite is the Lantern Seating, which are a major feature element and allow for community engagement and night life activation of the space. The overall vision for the project from Urbis was to develop the site as a focal point of the city and as a hub for community activity. The flow on effects have had a major impact on the social, environmental and economic benefits to the city.